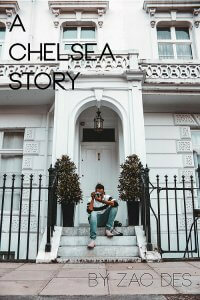 Join us this Friday, 10th November 2017 from 11pm when we will be playing host to the Official After Party of “A Chelsea Story”, an exhibition by Chelsea photographer Zac Des London. A Chelsea Story offers an insight into the life of Zac Des through a collection of around 300 photographs shot by him, but with some shots of Zac taken by others. The images document the past year of Zac’s journey featuring places, faces and behind the scenes shots. The book is split into two sections, with a wide array of street, building and architecture shots at the front of the book. The second half of the book contains a collection of intricate, film and digitally shot images taken by Zac. This stylish & beautifully designed edition is comprised of his favourites as well as new and exclusive images that have never been seen before. Dress code – “Bring Your Game” Interpret that as you will!